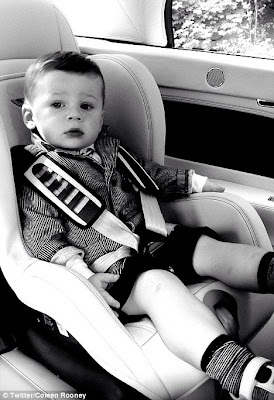 His last name is Rooney and he's actually adorable, a genetic advancement that I solely credit to Coleen. Plus, he has a Bentley car seat. A BENTLEY CAR SEAT. It probably costs more than all the furniture in my flat combined. Seriously.